This upholstered dining side chair is finished in faux leather with exposed wood legs. The clean line legs have a medium brown finish and a simple straight taper to the ground. 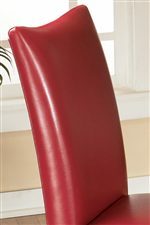 The plush cushioned seat and shaped back make for comfortable and easy lines, also offered in 4 separate colors. Make a matching set of these chairs, or mix them together for an eclectic feel. Coordinate with the round glass top table in this collection for a smooth and sophisticated dining experience. 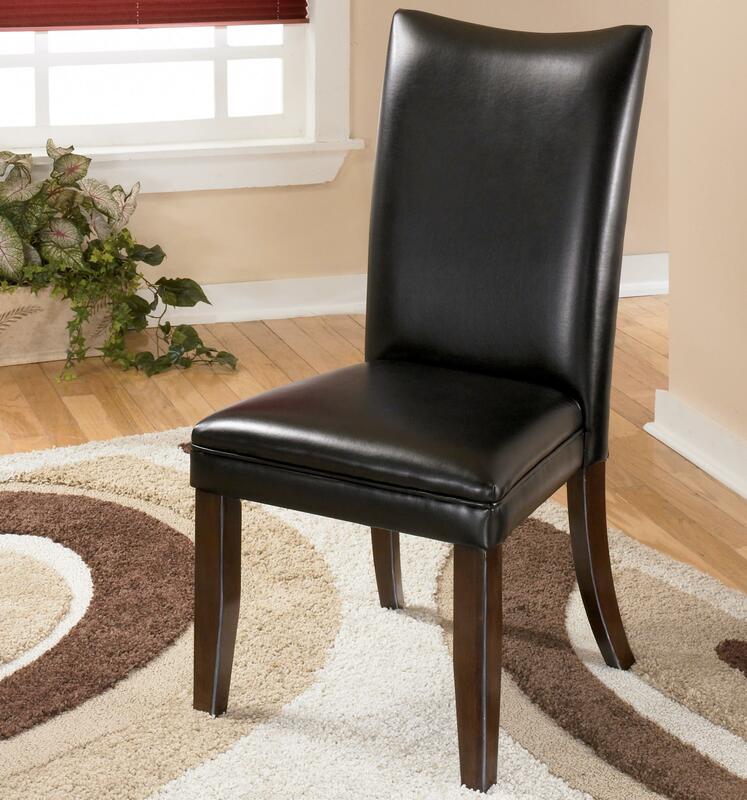 The Charrell Black Upholstered Dining Side Chair by Signature Design by Ashley at Furniture Fair - North Carolina in the Jacksonville, Greenville, Goldsboro, New Bern, Rocky Mount, Wilmington NC area. Product availability may vary. Contact us for the most current availability on this product. 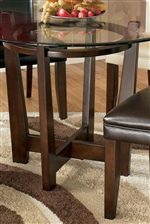 The Charrell collection is a great option if you are looking for Contemporary furniture in the Jacksonville, Greenville, Goldsboro, New Bern, Rocky Mount, Wilmington NC area. Browse other items in the Charrell collection from Furniture Fair - North Carolina in the Jacksonville, Greenville, Goldsboro, New Bern, Rocky Mount, Wilmington NC area.